The founders of the Foundation bring a combination of expertise in the field of filmmaking, education, project design and implementation. Creative directors: Ilse and Femke van Velzen from the film label IFPRODUCTIONS, are internationally recognized award-winning filmmakers. Their work focuses on exposing injustice in developing countries. Next to making documentaries for an international audience, they have in-depth experience in designing and editing the content of films to fulfil an educational purpose. Managing director: Nynke Douma from WHYZE works as an international consultant for development organizations mostly in post-conflict countries. Her expertise lies in the field of educational project design, monitoring and evaluation of the impact of film-based activities, workshop facilitation, and context-sensitive research on a variety of socio-cultural issues. “I’m assuring that the process of project design and implementation is as participatory as possible.  This means involving local partners of the Mobile Cinema Foundation in defining the content of the educational films through workshops, developing handbooks and trainings for facilitators, and assisting in monitoring the impact of the projects. Merging the worlds of filmmaking and social development work is innovative, exciting and key in strengthening processes of social change”. Chair: Iris van der Mark is a psychologist with extensive experience in international humanitarian aid work in several (post)conflict countries. She started out as a researcher on reconciliation issues and moved on to field work. She worked for a couple of years in Congo with child soldiers and that is where she became familiar with the work of Femke, Ilse and Nynke. Treasurer: Nick Bolte teaches Community Action at the School of Social Work of the University of Amsterdam. Nick is currently conducting research on hybrid professionalism in the art of community work. His roots lie in organizing trade union activities for the student-worker movement of the 1960s-1970s. Since forty years Nick lives in De Bijlmer in the southeast district of Amsterdam, one of the most multi-cultural and multi-ethnic parts of the Netherlands. He is married and has two children. Secretary: Bas Kinsbergen is a graphic designer with a passion for communication. During his career he worked for several non-profit organisations. And now the Mobile Cinema Foundation finally got him to climb a Board. Legal adviser: Marijn Heemskerk is a lawyer in Amsterdam. Besides her daily practice, she is involved in several projects regarding gender crimes and human trafficking under international law. She believes that awareness is key to end sexual violence and other human rights violations; if one does not know one’s rights, one cannot fight to have such rights respected. “Awareness is where it all starts, and film is an excellent tool to create it”.